An effort to legalize marijuana in New Jersey collapsed on Monday after Democratic leaders failed to muster enough support among state lawmakers. Life can be difficult for young black and Hispanic men in Newark: They are less likely to graduate high school, more likely to lack health insurance, and far more likely to be murdered than young women in Newark or their peers in New Jersey overall. 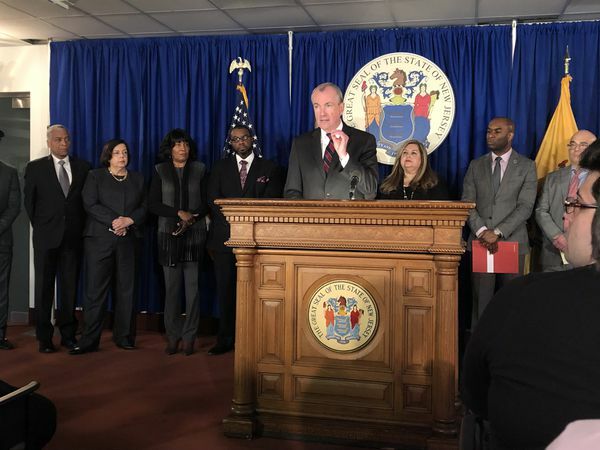 That’s the picture painted by a new report out today from Advocates for Children of New Jersey that presents, for the first time, a detailed look at more than 18,000 men of color ages 15 to 24, using statistics and their own words. This deep dive was part of the 2019 Newark Kids Count report that ACNJ annually publishes about children living in the state’s largest city. A number of young men talked about threats of violence and other challenges growing up in an urban area, their desire to change their high school experiences to make them more meaningful, and their dreams for a bright and successful future. Garrett Vargo teaching music to fourth graders at an elementary school in Paterson, N.J., where the school board has proposed laying off 150 teachers and eliminating music classes. New Jersey Gov. Philip D. Murphy had made legalizing marijuana one of his top priorities since taking office in January 2018. In Newark, the leaders and residents alike are living Roosevelt’s words, putting in place a foundation that empowers citizens to drive their government from the bottom up. All Newark residents now have the opportunity to learn how to be No-Blame problem-solvers, exercising their full political power to leave their city better than they found it. Recognizing this hopeful reality that he has helped bring about, Mayor Ras Baraka joined members of the Newark Civic Trust, the superintendent of the Newark School District, and the Vice-Chancellor of Rutgers Newark, as Newark became the first Civic City in the nation. A Civic City is one that creates a pipeline of practical solutions and principled leaders. In a Civic City, all citizens have access to training in the practice of No-Blame problem-solving and the opportunity to serve as Civic Trustees working to find successful urban solutions which they adapt for adoption in their city.